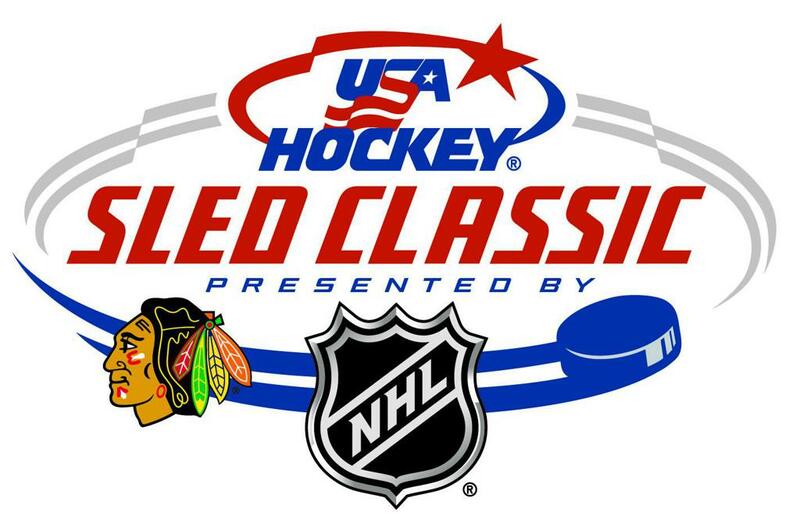 A record 30 NHL-associated sled hockey teams will take part in the ninth annual USA Hockey Sled Classic, presented by the NHL. Tournament play will begin Thursday, Feb. 7, and culminate with championship games for all five divisions on Sunday, Feb. 10. Hosting this year's tournament is the NHL's Chicago Blackhawks. MB Ice Arena, the practice facility and community rink of the Blackhawks, will serve as the primary facility while nearby Johnny's Icehouse West will also be utilized. The 30 competing teams represent a record-tying 20 NHL member clubs, including the Anaheim Ducks, Arizona Coyotes, Boston Bruins, Buffalo Sabres, Carolina Hurricanes, Chicago Blackhawks, Colorado Avalanche, Columbus Blue Jackets, Dallas Stars, Detroit Red Wings, Edmonton Oilers, Los Angeles Kings, Minnesota Wild, Nashville Predators, New York Islanders, Philadelphia Flyers, Pittsburgh Penguins, St. Louis Blues, Tampa Bay Lightning and Vegas Golden Knights. Each team will represent their associated NHL club by wearing official NHL licensed jerseys with local club marks and logos. First staged in 2010, the USA Hockey Sled Classic is an annual round-robin format tournament between sled hockey teams associated with NHL clubs. As a symbol of the NHL's commitment to the sled hockey community, the Tier I champion will be awarded the O'Connor Courage Trophy. On hand to present the O'Connor Courage Trophy on Sunday will be 2010 Stanley Cup champion Brian Campbell, current hockey and business operations liaison for the Chicago Blackhawks. For tournament details, click here. All games will be streamed live at USAHockey.HockeyTV.com. Current subscribers of HockeyTV can watch the games with their active subscription. Users whose subscriptions have expired can simply log in to their existing HockeyTV account and activate a new subscription. New users to HockeyTV should go to USAHockey.HockeyTV.com and register for an account. Among the record 350-plus competitors slated to participate, 37 are current members of the U.S. National Sled Hockey Team, U.S. Men's Development Sled Hockey Team and U.S. Women's Development Sled Hockey Team. All three teams will meet their Canadian counterparts later this season as the U.S. Women's Development Sled Hockey Team will host a two-game series in St. Cloud, Minn. from Feb. 21-23, the U.S. National Sled Hockey Team will hold a two-game series in Indian Trail, N.C. from March 21-23 and the U.S. Men's Development Sled Hockey Team will travel to Montreal for a three-game series from May 1-5. Additionally, a total of 11 players skating in the tournament helped the United States claim an unprecedented third-straight gold medal at the 2018 Paralympic Winter Games in PyeongChang, South Korea. Among the gold medalists are three members of the Chicago Blackhawks sled hockey program including Travis Dodson (Deming, N.M.), Kevin McKee (Chicago, Ill.) and Tournament MVP of the 2018 Paralympic Winter Games, Brody Roybal (Northlake, Ill.). Prior to traveling to South Korea, Team USA held a two-month Residency Program in Chicago where it trained at West Meadows Ice Arena in Rolling Meadows, Ill.
NOTES: Media interested in attending the event should email JonG@usahockey.org ... Use the hashtag #SledClassic to join the tournament conversation on social media ... Hockey Is For Everyone™ is a joint NHL and NHLPA initiative celebrating diversity and inclusion, using the sport to foster a greater sense of teamwork, dedication, and perseverance – hockey’s core values. New this season, the Hockey Is For Everyone initiative has expanded from one month to year-round with NHLPA, NHL, Club and player participation supporting communities and grassroots hockey. For more information on the initiative, click here ... Six NHL clubs – the Buffalo Sabres, Chicago Blackhawks, Carolina Hurricanes, Columbus Blue Jackets, Nashville Predators and Tampa Bay Lightning – have two associated teams in this year's USA Hockey Sled Classic while the Colorado Avalanche and Edmonton Oilers will have three teams ... Last year, the Minnesota Wild held the tournament in Plymouth, Minn., where the Chicago Blackhawks captured two division titles (Tier I, Tier V), the Pittsburgh Penguins claimed the Tier II crown, the Edmonton Oilers won the Tier III Division and the Colorado Avalanche captured the Tier IV division ... Previous NHL teams to host the event include the Colorado Avalanche (2010; Denver, Colo.); Philadelphia Flyers (2011; Voorhees, N.J.); Buffalo Sabres (2012; Williamsville, N.Y.); Pittsburgh Penguins (2013; Pittsburgh, Pa.); Washington Capitals (2014; Arlington, Va.); Florida Panthers (2015; Sunrise, Fla.) and the Minnesota Wild (2017; Plymouth, Minn.) ... For more information on the sport of sled hockey, click here.